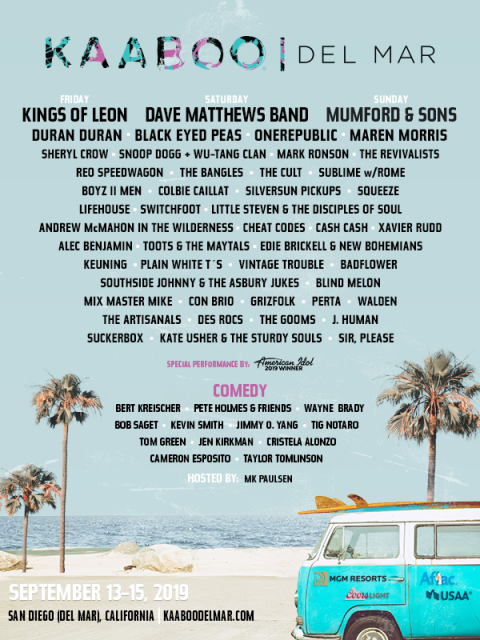 KAABOO Del Mar 2019 - What To Expect! 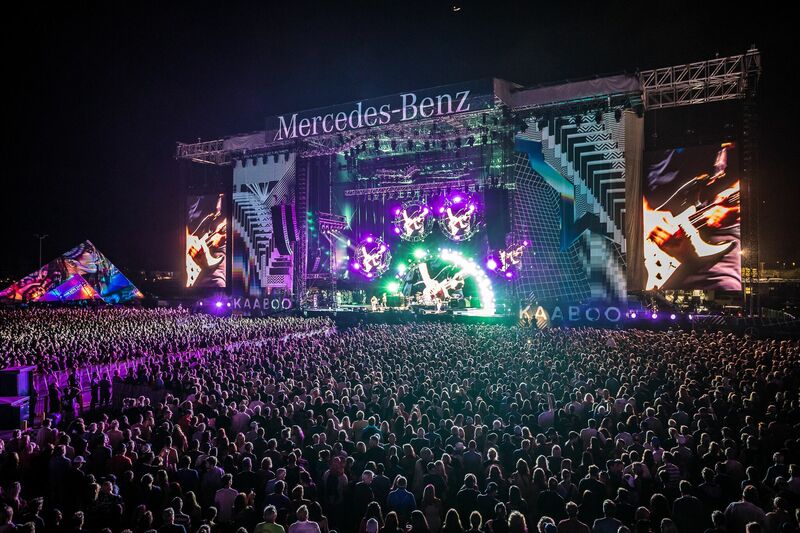 Home>Blog, Feature>KAABOO Del Mar 2019 – What to Expect! KAABOO 2019 promo code and discount code found below! Use Promo Code FIVEGROUP20 for $20 off Hang Loose (GA) 3-Day! Use Promo Code FIVEGROUP10 for $10 off Hang Loose (GA) Single-Day! 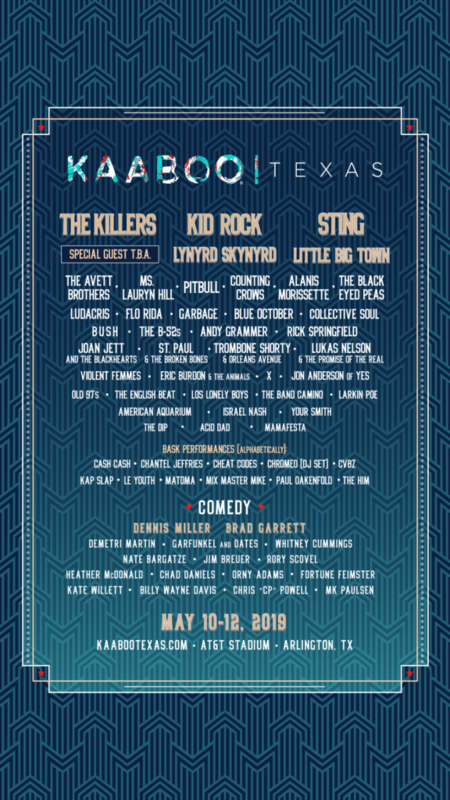 This year’s headliners last year at KAABOO Del Mar killed it and included Katy Perry, Foo Fighters and Imagine Dragons! 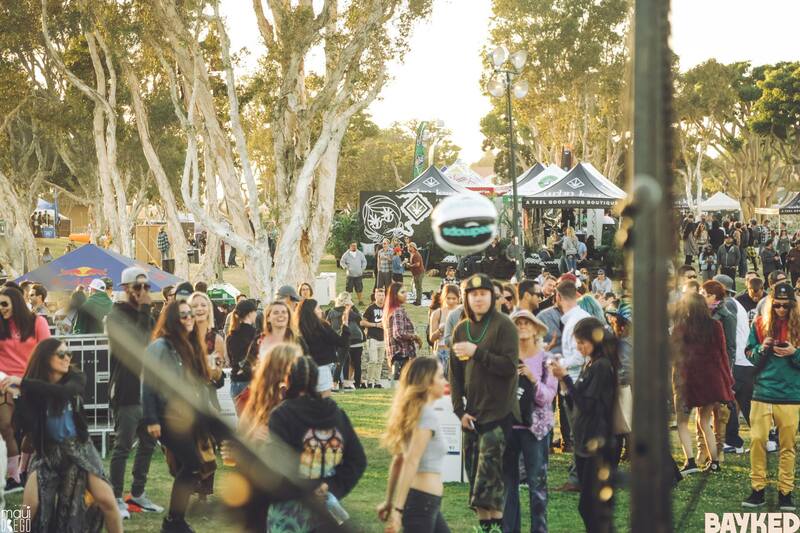 For a non-stop high-class entertainment there a four different stages: Sunset Cliff, Grandview, Trestles and Tourmaline. This years line up will be announced tomorrow – Thursday, March 21st! If you are a lucky Hang Five (3-day only) ticket holder you have the opportunity to get a preferred Laugh Pass on Thursday during the Sneak Peek Show. Preferred Laugh Passes enable Hang Five guests to enter the comedy club via the Preferred Laugh Pass queue on site. Caution! Art is in the making! 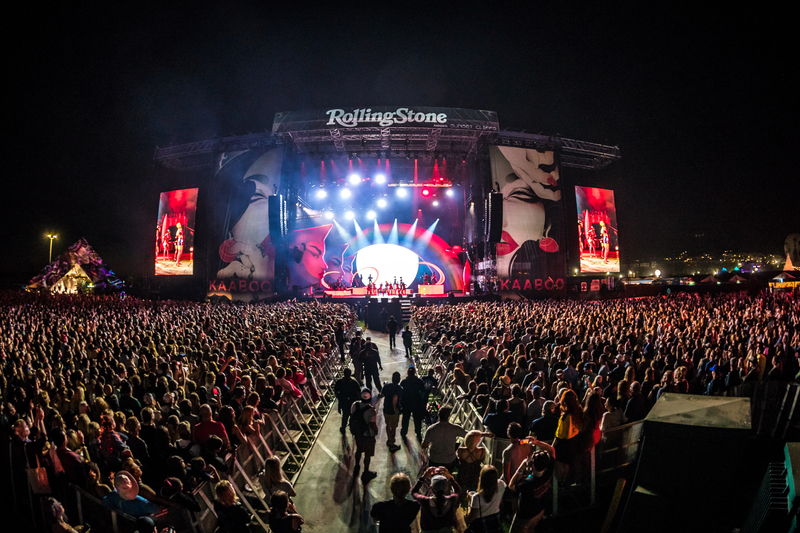 At KAABOO you cannot only watch artists creating sculptures, paintings and photography. At the Contemporary Art Fair 100 national and international artists present their masterpieces for sell and the best thing is you can take your desired piece home. Your stomach starts to rumble? 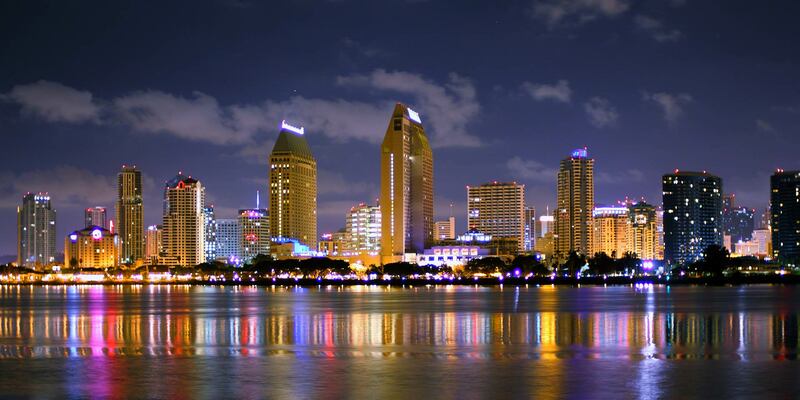 Pay a visit to the most upscale culinary environment at KAABOO! 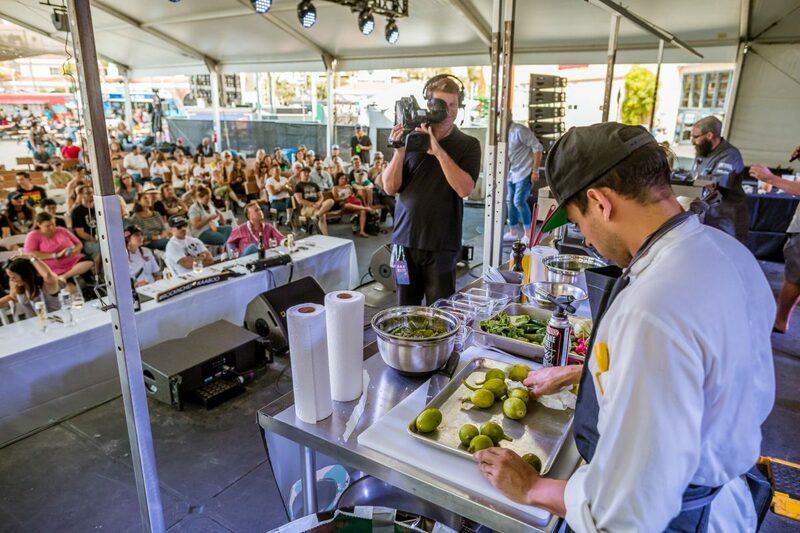 At KAABOO Palate you can sample local and regional delicacies prepared by selected culinary artisans. Enjoy dozens of limited wine productions, craft beers or craft libations. 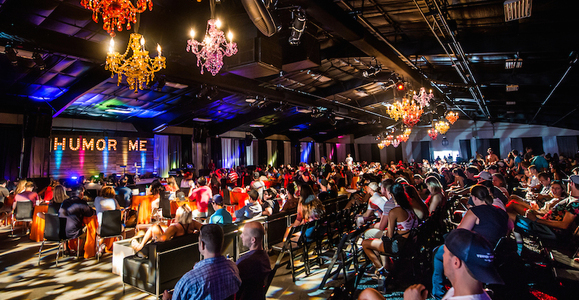 The right refreshment is needed in the blazing heat while watching your favorite artists perform on the main stage. 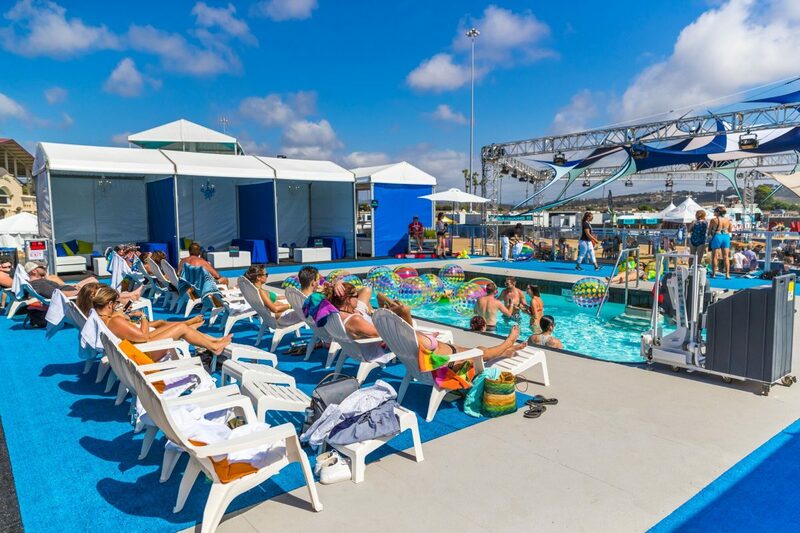 Take a break from the sweaty party crowd and cool down at the Bask Pool Lounge! Bask offers you delicious cocktails, fun games and DJ sets! Have your own little party at Bask and book a premium Cabana which fit up to 6 people or make yourself comfortable on the pool lounge chairs.